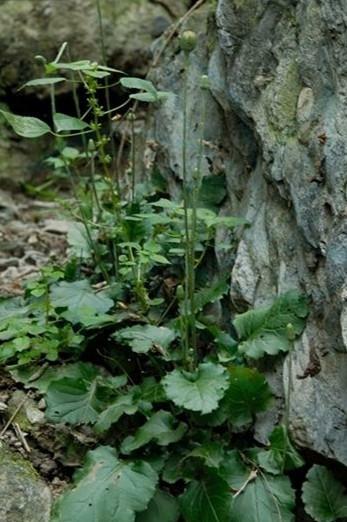 The drug is the dried or fresh whole herb of Leibnitzia anandria (L.) Nakai (Family Compositae), growing in hilly roadsides, in edge of woods, in scrubs or on grasslands, distributed in most provinces of China. Clear heat and induce diuresis, remove toxicity and eliminate swelling. cough caused by lung-heat, diarrhea caused by damp-heat, heat stranguria, rheumatic arthritis, sores and boils, ecthyma, traumatic bleeding, snake bites, scalds and burns. Decoct 15~30 g, or soaked in wine. Proper dosage is for external application, pounded for applying.